For those not familiar with the term; exploitation film is an informal label which may be applied to any film which is generally considered to be both low budget and of low moral or artistic merit, and therefore apparently attempting to gain financial success by “exploiting” a current trend or a niche genre or a base desire for lurid subject matter. In the last few years film-makers like Quentin Tarantino and Robert Rodriguez have been recreating the style of exploitation films from the 70’s, including the look of old and damaged film in movies like Planet Terror, Machete and Death Proof, to name just a few. Since then, with some help from their fans via Sponsorme.com, they have made a series of Daddy Cross “webisodes.” There will be ten of these in total (one for each of the Ten Commandments), three of which are available to view now (linked at the end of the following interview) and are being released on a monthly basis. And now for the Interview…. So, what’s Daddy Cross about? Daddy Cross is a love-letter to the sadly unappreciated exploitation and genre cinema of the 60’s and 70’s from the UK. The story concerns a murderous priest who wreaks havoc on the residents of Soho whilst unsuccessfully trying to fight of his own carnal urges. Why did you choose a priest as a main character? Practicality more than anything else. The original trailer for ‘Daddy Cross’ was created as a competition entry for ‘Hobo with a Shotgun’. We were short on time but high on male participants! So we did the obvious thing and went for creating an iconic killer using what we had in our hands. Has the religious theme angered anybody? Any complaints from certain groups? Nothing at all, some odd looks when we’re shooting outside churches but that’s been the worst! What inspired you to use a 70’s exploitation style with Daddy Cross? Did any particular films provide inspiration? The inspiration came in the form of the Exploitation Trailer Competition that Jason Eisener & Rob Coterill (Hobo with a Shotgun) ran last year, our goal was to create something that was very uniquely British in style rather than the bigger bolder US exploitation movies that are usually represented. As for direct inspiration films like House of Whipcord, Screamtime and Alice Sweet Alice definitely provided us with fuel for the idea. It’s sad that this period of cinema does not get any respect from film historians – it’s only now that we’re beginning to notice however garish and extreme the subject matter was, the people working within the genre had enormous talent and an ability to create films that stand the test of time even though they were created often with a budget of a single penny. What did you use to get the effect of a 70’s exploitation film? Shooting digital and spending a painstakingly long amount time on the grade would be the short answer. Russell who is not only our lead actor, producer, writer, director but also does the grade spends a lot of time adding small details than only those obsessed with film will notice. He is a perfectionist and that shows in the final product. We also want to keep ‘Daddy Cross’ evolving – the entire series is a story, it has a narrative arc both within and around the episodes so as the backstory develops to how this company in Wardour Street, Soho slowly lost all its’ money and madness started to seep in because the public were not getting interested in their upcoming film, the entire style of the series changes with the drastic decisions they take. Ne’er Do Well Films: From left to right; Evrim Ersoy, James Pearcey and Russell Would. What was the most challenging part of making Daddy Cross? Making sure we don’t see modern objects in the backgrounds of shots, although in some cases this is nearly impossible so we can’t get it right every time. Also finding the audience, it’s a real challenge to get things out there in a form that’s easy to digest and particularly something as specific as Daddy Cross. It’s getting there but this has definitely been a tough part of the process. Also, at the beginning of the production we decided this would be as low-budget and guerrilla as possible and shooting within Soho throws out some very difficult problems – we can’t close roads or block off pavements so it’s a case of seeing the shot and stealing the shot. This can sometimes be impossible – most of the time we had to go back and shoot pick-ups because something that we shot was completely ruined. Any funny moments during the production? I think the entire production is fairly amusing when you think three grown men, one of them constantly in a home-made priest outfit, trying to appear unsuspicious whilst shooting murders on the streets of Soho. 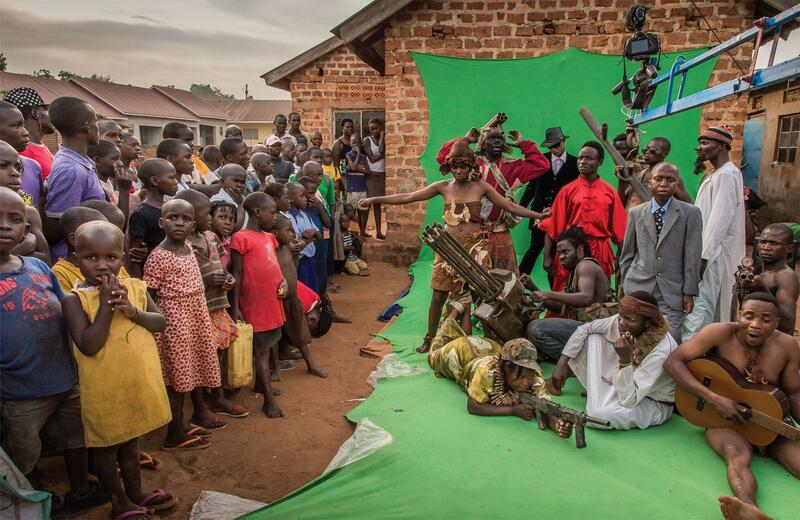 In the past you have screened your short films in cinemas. 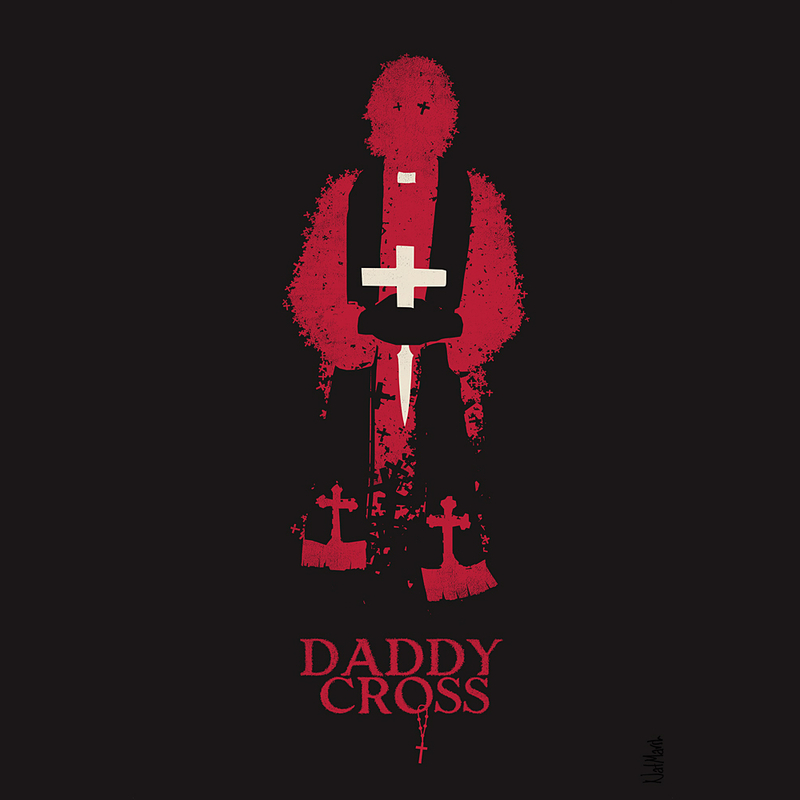 Any plans to screen Daddy Cross in a cinema? ‘Daddy Cross’ episodes have had a few screenings at festival around the world. What we would ultimately like to do once the series is over is to screen it as an hour long special to all the people who supported us, playing the entire thing straight with all the back-story and everything and perhaps take that on the road: a master class with a road show mixed in. Of course, this all depends on the interest we will generate but so far the reaction has been overwhelmingly positive. Is horror a genre you want to stick with or are there others you would like to break into? Horror is a genre that’s very close to heart and I think we will always keep coming back to it. However our main approach is that it’s the story that counts so we’re willing to go wherever the scripts may take us.